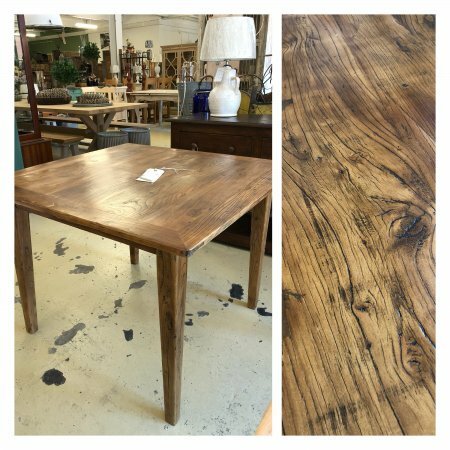 Dining Table New Stock, just arrived 100cm x 100cm square from reclaimed elm wood. Beautiful aged look. In store now. £395. Legs can be removed for transport or we can arrange delivery. Scarf With Star Designs from arkvintage. 4 Scarves available in different colours and star patterns. Available online and in store, Camberley Surrey. Price includes P&P. A denim blue acid wash scarf with embroidered stars throughout. 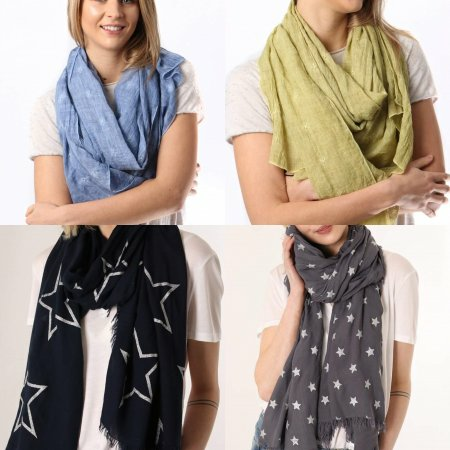 A denim mustard acid wash scarf with embroidered stars throughout. A dark grey scarf adorned with silver glitter stars throughout. A navy blue scarf adorned with large silver glitter star outlines throughout. Scarf With Star Designs from a stunning collection of unique scarves for women. The Company was founded in 2006, as a small shop in Notting Hill London, with aspirations to produce stylish, good quality scarves with unrivalled popularity. Simply beautiful affordable scarves for every season. Heart Design Scarfs In Stock from arkvintage. 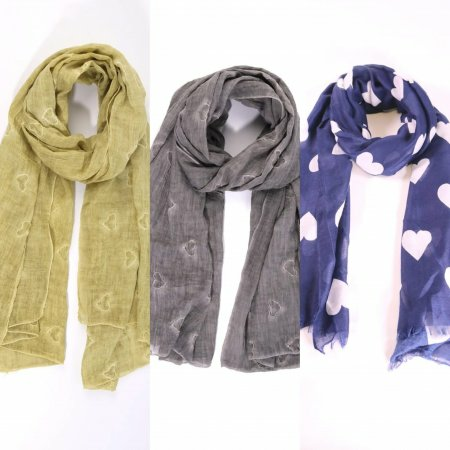 Beautiful scarves with heart designs from our carefully selected range. Buy now online or visit us in store Camberley Surrey. See pictures for more detail and select your favourite from the “Choose Option” Drop down menu. super-soft navy blue scarf with a white heart print throughout. A medium grey acid wash scarf with embroidered hearts throughout. A mustard acid wash scarf with embroidered hearts throughout. 100% Viscose. 70cm x 180cm. From a stunning collection of unique scarves for women. The Company was founded in 2006, as a small shop in Notting Hill London, with aspirations to produce stylish, good quality scarves with unrivalled popularity. Simply beautiful affordable scarves for every season. 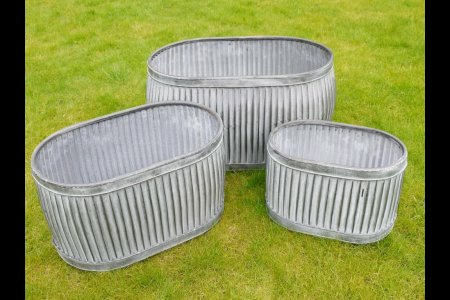 Galvanised Metal Planter Tubs Oval Now Free P&P from arkvintage. 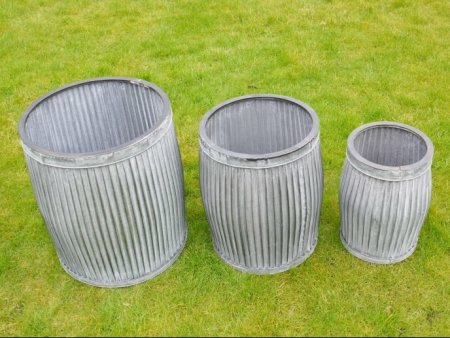 Classic ribbed planters in galvanised metal. Fabulous vintage look for your garden shrubs, plants or herbs etc. Available online now in 3 sizes. You will need to add drainage holes if required for your choice of plant, very easily done! Please note the “Local pick up” option at checkout means you can collect from our Camberley Surrey store. Galvanised Metal Planter Tubs free P&P from arkvintage. Classic ribbed planters in galvanised metal. 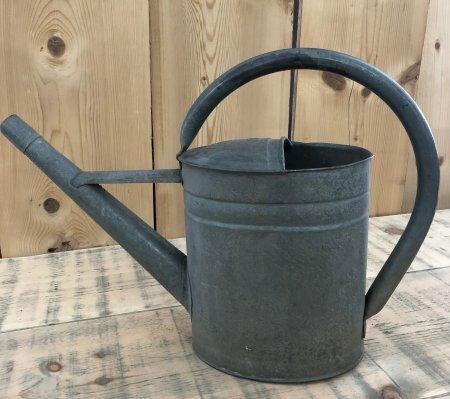 Fabulous vintage look for your garden shrubs, plants or herbs etc. Available online now in 3 sizes. You will need to add drainage holes if required for your choice of plant, very easily done! Please ask if you would like more than the numbers listed available we have a couple left on the shop floor. for availability of Galvanised Metal Planter Tubs if you require more than the stock listed via contact page. No postal delivery available at this time, but call or contact us for a quote with our van. 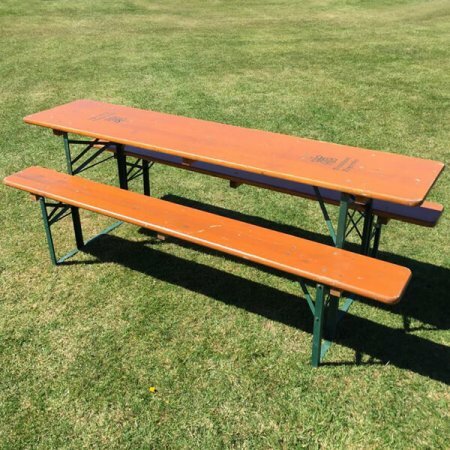 Also see the vintage beer table and bench sets, click here. Now on at sale price of £175… call to arrange payment and collection. Garden Table Bench Set from arkvintage.com. Original vintage table and 2 benches. These sets are from the German beer festivals! Table and benches fold flat for storage and transport. Perfect for garden parties and BBQs. Back in stock now. 2 versions available see the page on the web site for details.